One of the biggest threats in flag football is the running quarterback. 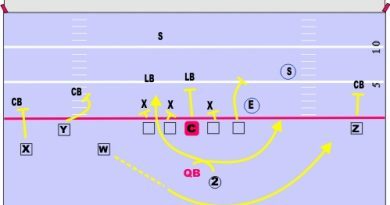 Whether you play flag football in a fun league or in competitive college leagues, you will want to use the running quarterback. The running quarterback is the ultimate weapon. Knowing when and how to use this weapon is the key to flag football. We’ve all seen them. We’ve all dreaded playing against them. We’ve all stayed up nights trying to scheme against them. Whether it’s in flag football or in the NFL, a running quarterback is a deadly weapon. When choosing who will be the quarterback of your flag football team, you have to be very careful. Yes, having a good arm and being an accurate thrower is a bonus, but it’s not necessary. We’ve all been on flag football teams with the great high school quarterback, or the division three quarterback. How did those teams do? Usually not very well. If you just chose your quarterback based on arm strength and accuracy, you may end up with great athletes at each position, but not a great team. Why? It all comes down to the quarterback play. If your quarterback can’t run, you can not succeed at flag football. When you are playing flag football, you have to decide who will play what position. Among the most important positions is the quarterback position. The quarterback has to be able to run. 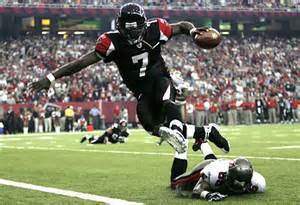 There is no greater offensive weapon than a quarterback that can pass as well as take off running. Of course, you always have the quarterback that doesn’t want to run. This is a huge mental error. Sometimes you get these former high school quarterbacks that feel that their talent is being wasted, so they would rater stay in the pocket and pass. While you can try to convince these guys to change their ways, you may not be able to. You may be stuck. But if your team is winning, you should stick around. Defenses struggle to defend against an athlete that can stay in the pocket and pass, or roll out and pass, or scramble for yards. Who do you guard? Who guards the middle of the field? Who gets the outside and flats? 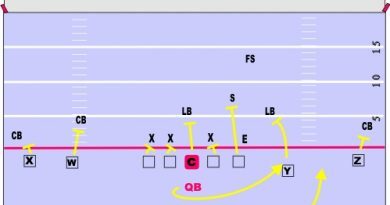 What do you do if the quarterback is rolling to one side and looks like he may pass to the receiver you are covering? What if he pump fakes to him, then takes off running? A huge dilemma. Having a quarterback that can run is of the utmost importance in flag football.